Manchester United fans will be gutted to have heard the reports yesterday of David de Gea seeming reluctant to sign a new contract at Old Trafford. The Spain international has been one of the club’s most important players for the last few years, but it seems he may have doubts about committing his future to the Red Devils in this period of transition. That’s according to the Telegraph, who broke the story of De Gea’s contract doubts, citing the uncertainty over manager Jose Mourinho as one factor, whilst also suggesting he harbours ambitions of winning major trophies – the implication being that that certainly doesn’t look too likely at United at the moment. 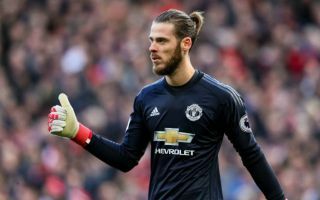 De Gea, 27, is sure to have plenty of suitors from around Europe, having established himself as perhaps the best goalkeeper on the planet in recent times, with few up to the job of replacing him at United. Still, if he does move on, fans seem pretty much agreed that Atletico Madrid shot-stopper Jan Oblak would be the ideal candidate. Writing for popular Man Utd blog Stretty News, Jamie Spoor argues that Oblak is the stand-out option for the club to consider, calling the Slovenian the best in his position in La Liga, one of the top five in the world and the player who ‘should be top of United’s hit list’. The 25-year-old is placed at the top of a list also containing big names like Marc-Andre ter Stegen, Gianluigi Donnarumma, Kasper Schmeichel and Hugo Lloris. However, Oblak does seem the pick of that bunch, partly due to his age giving him the perfect blend of experience at the highest level, but still with the potential to improve. If we do lose him United should go for Jan Oblak. We’ll end up selling him for €50m in the summer and having to pay over €100m to replace him with someone like Oblak. Not that Oblak would come with things as they are.